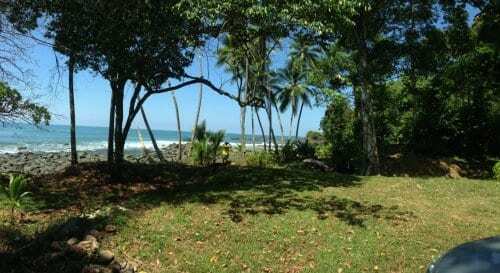 11.2 ACRES – Amazing Beachfront Property For Hotel Developemnt and Possible Marina!! 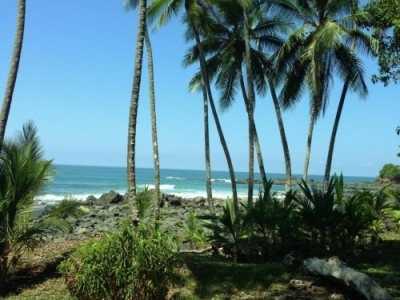 The PUERTO CITO BEACHFRONT DEVELOPMENT is located 9 kms south of Dominical in the southern zone area of Costa Rica referred to as the “Ballena Coast” The property consists of three (3) separate parcels of land. 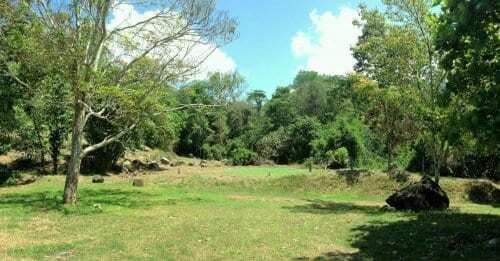 Parcels 1 & 2 have all the concessions in place for the development of a hotel property, a tourism related initiative, a commercial enterprise and a private management residence. Parcel 3 is a stunning rain forest tract that can be used for additional green areas. 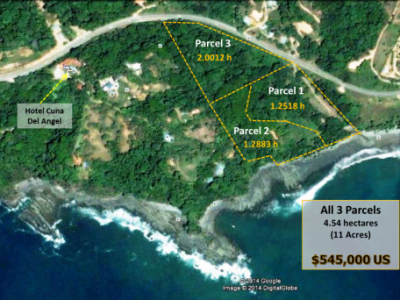 Priced at $545,000 US, this exceptional beachfront property is a developers dream because it is available for less than $12.00 m². 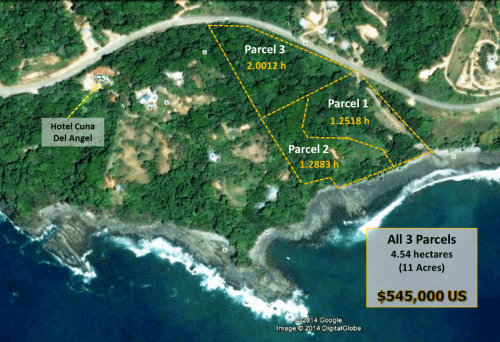 A quick check into current market values for comparable beach front properties assures the potential investor that this is an incredible deal for a serious and visionary developer. 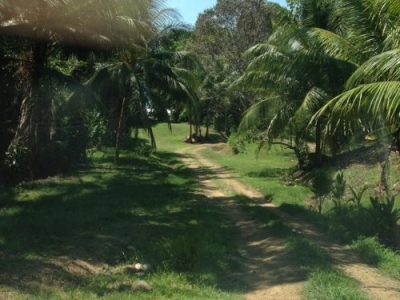 Parcel # 1 – 12,518.70 m2 (1.2518 hectares – 3.09 acres) P-384899-97 This 1st parcel is located at the entrance to the Puerto Cito site and has been granted a concession for Tourism related scenarios and allows for up to 20% (2,212.72 m2) land use for commercial outlets and a private residence. 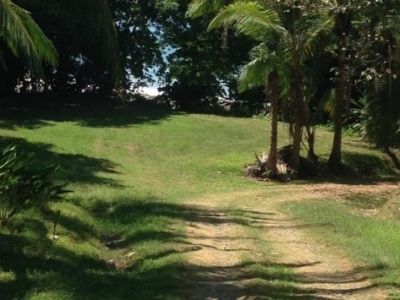 Parcel # 2 – 12,883.24 m2 (1.2883 hectares – 3.18 acres) P-3844901-97 The 2nd parcel is located next to Parcel 1 just over the bridge joining the two parcels and has been granted a concession zoned for “hotelera”, which allows up to 25% (4264.31 m2) density for a Hotel and tourism related facility. 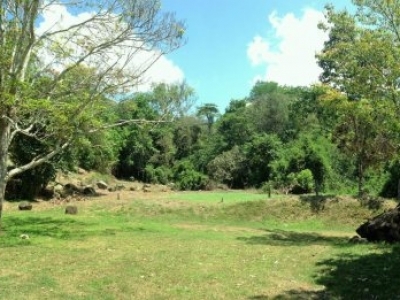 Parcel # 3 – 20,012.16 m2 (2.0012 hectares – 4.94 acres) Possession Land The 3rd parcel between the two concession properties and the highway is a stunning rain forest area that can be used for additional green areas, walking trails and protected park to enhance the other developments intended for Parcels 1 & 2. This Parcel is “Possession” property, not a “Concession” property. The parcel does not have title but has been in the possession of the seller for over 30 years, which by law makes it fully transferrable to the new owner. 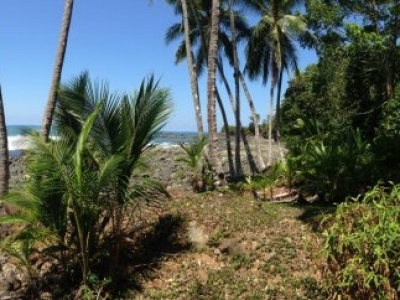 A unique aspect to this particular property is that feasibility studies verified that the natural reef and deep waters in front of the property were favorable to support a Marina. 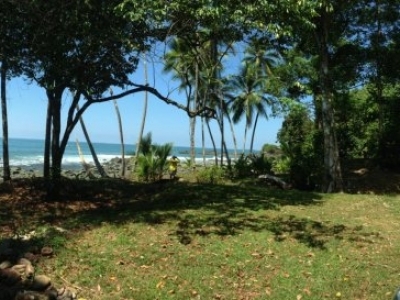 This particular area is the only possible location between Quepos and Golfito that supports the criteria necessary for a viable Marina. 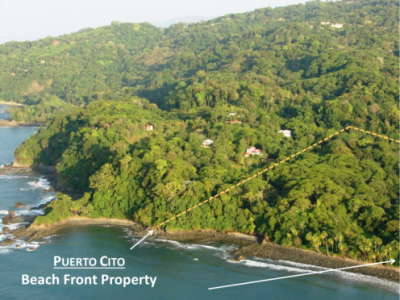 These studies completed 10 years ago verified that the Puerto Cito location met all the conditions and with that a Marina Plan was initiated. 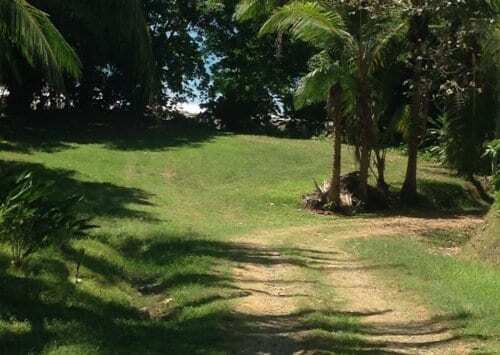 This Marina Plan was approved in the past by the government entities responsible. To revive these plans and move forward with a Marina development is achievable. 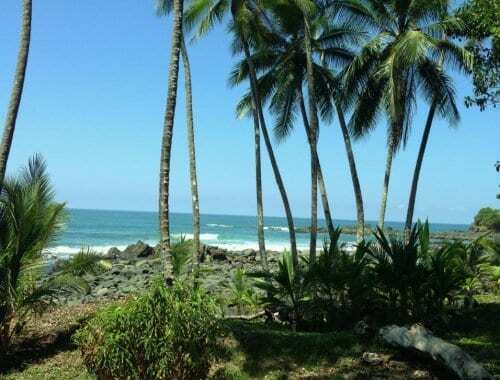 The “Ballena Coast” is attracting abundant interest from not only the tourism industry but the investment sector as well. Many new large projects are in various stages of development bringing new capital and more people both ex-pat and locals alike to the area. These PUERTO CITO parcels have great potential for a visionary who can see the value of land priced reasonably which in turn allows the prospective buyer to maximize the return on investment. For more details on this and additional information please contact our office.